Sydney’s Grey Wing Trio present music that is seamlessly free-flowing, super-melodic, and harmonically engaging. Amoroso is, above all, infused with adventure, joy, and tenderness. 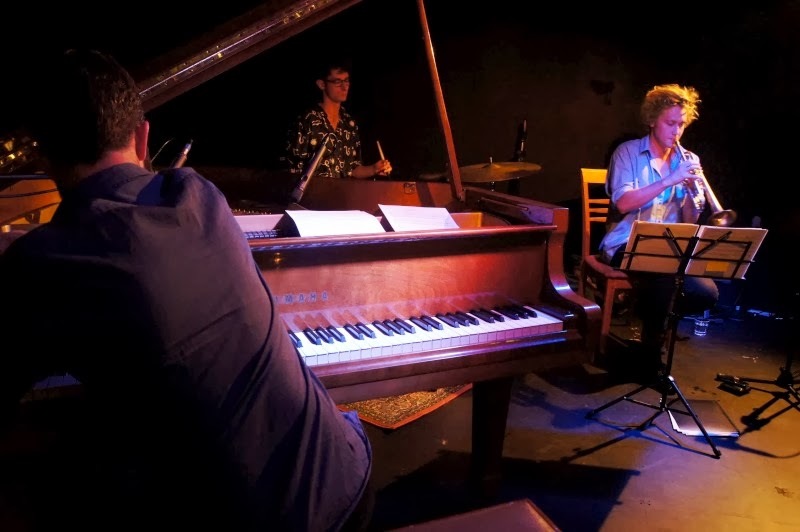 With Luke Sweeting on piano, Ken Allars on trumpet, and Finn Ryan on drums, Grey Wing Trio offer an immediate dual focus on both composition and three-way interaction. But the beauty, delicacy and energy of the playing across Amoroso is what I think lifts the release beyond the category of ‘contemporary jazz’ or ‘improvisation’. I’d describe it as ‘really great music’. Sweeting has a touch that reminds me of the heaviness of Barney McAll and the melodic dexterity of Matt McMahon, and his playing anchors the performances of Allars and Ryan. The writing on Amoroso has an open attractiveness in common with the more folk-influenced work of Brad Mehldau or Aaron Parks. Thanks to the magnetic, singing vitality of what trumpeter Ken Allars brings to the music, Amoroso also wouldn’t be out of place in the company of releases by Tomasz Stanko or Ilmiliekki Quartet, two European groups that instantly spring to mind. The dynamism and daring of the trio is on show on every composition – there are no weak tracks here! – a testament to the skill of the players as much as it is a product of the carefully thought-out material. Perhaps the most dynamic member of the trio is drummer Finn Ryan. On Chords, Ryan moves between twittering cymbals and solid bass drum/snare patterns, accompanying but also outshining the piano and trumpet. Ryan’s playing towards the end of Guardian is so full of energy and intent that it’s hard to imagine how Sweeting and Allars didn’t stop what they were playing and just listen to the percussive momentum amassing. Several times I was amazed by how much sonic force the three players could muster, such as on Medieval Song, where Ryan’s cymbal crashes add a distinct shine to the climax of the piece. This sense of largess is also created by the movement from limpid pools of melodic simplicity into trumpet-led ferocity, as heard on the final track Dance Song. Grey Wing Trio constantly explore different voice combinations – of piano/drums, trumpet/drums or piano/trumpet – and extended techniques – I loved Allars’ use of half valve and delay effects – to give the music extra textural intricacy. To this end, the second last track Remedies is a swirling mass of both energy and stillness. Moments where only a ride cymbal holds out a light are contrasted with huge swirling lines of delay-laden trumpet and rhythmic piano figures. 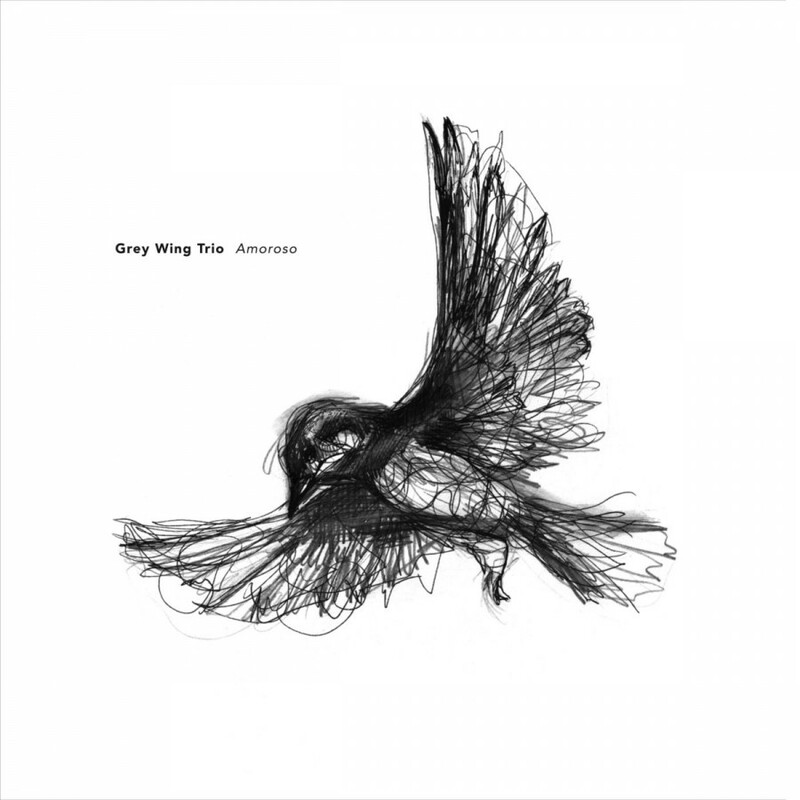 Grey Wing Trio’s Amoroso is a beautiful and exciting album of compositions you’ll want to listen to again and again, performed by three young players whose collaboration I hope to hear more of in the future.